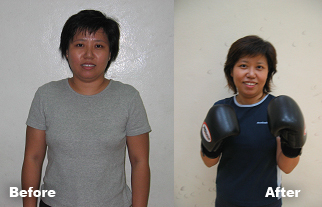 Before joining Active Red for their kickboxing classes, I was lazy, undetermined and had little motivation to work out. Having to experience just one class of Kickboxing, it was amazing! The trainer was dedicated, always giving you constant motivation to push yourself to the limit for each lesson. What make it even more interesting are the students whom you work out with. Everyone is just friendly; jokes are always flying around making you feel at ease. At the end of the lesson, you will get a sore aching body but that means a step to a fitter and tone body. Now I feel exceptionally a lot fitter, stronger and really determined to lead a healthier lifestyle. Overall, a superb place to keep in shape and have a great time to enjoy an hour of action pack kickboxing lesson! I have always wanted to learn kickboxing but wasn't dare enough to try. 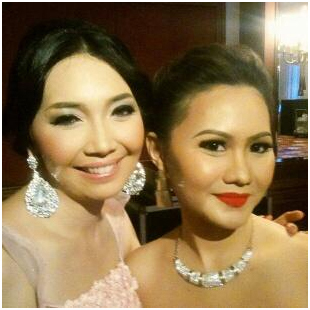 Til one day I was given an opportunity to try it out as part of my pageantry programme. And it was awesome!! and ever since then, there is no turning back. Now that the pageantry is over, I am still having fun learning kickboxing. And the best part, I lost 2kg ever since!!!! All thanks to Active Red!! and ....Val is a great instructor!!! I never knew I would enjoy kickboxing one day. Or I would have absolutely gotten myself into the sport in my younger days! There was never a session when I hadn't had fun and you bet I do look forward to the kickboxing sessions at Active Red every week. Val is so cool at coaching! ;) Besides, not only do I get to burn calories (which is the best part!)! I get the chance to achieve something I never imagined I would, thanks to Active Red! I joined this class 1 month ago with my friend and we love working out together. This place has helped me to keep fit and also become more toned. There's something about kicking and punching that's therapeutic, helps you to release all your stress. Valencia is great motivator. She keep's you focused and pushes you to give a little more even when you can't lift your arms. I would definitely recommend working aout at Active Red. 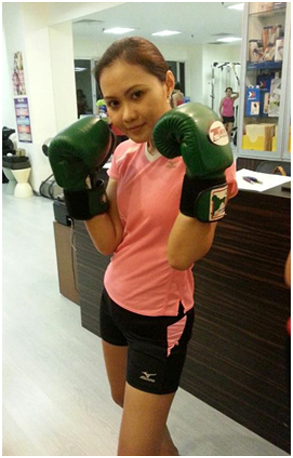 I first did kickboxing because I had previously learnt Muay Thai for about a year plus. It was a great workout and I lost a substantial amount of weight and gained fitness - much to my friends' compliments. Thinking of trying something similar - I signed up for Active Kickboxing Fitness. So far it has been a great and intense workout once a week for me ( although if time permits I intend to go twice a week) - it is a good de-stressor and not only does one get a systematic upper and lower body workout, it also aims to increase flexibility. "I can proudly say that I re-gained my self-esteem, giving me the courage to participate in a beauty pageant, a childhood dream!" 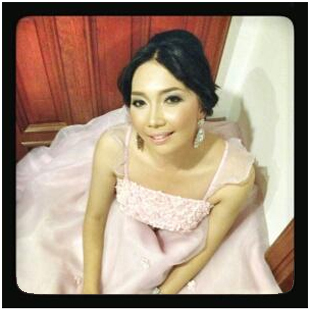 After I started working, I steadily gained more than 8 kgs over a span of just 5 years. Overwhelmed with work stress and a diminishing self-esteem, I desperately tried all crash diets and exercise regimes I could find in the magazines, nothing worked, my weight was still ballooning! Then, I found out about Active Red's Kickboxing Boot Camp through a friend. The program comes complete with an exercise regime & weight management consultation. I was amazed as the results began to show in weeks! I saw a new self in just 12 weeks. Not only did I lose weight, the best benefits I got were the knowledge gained to effective exercise & diets that can last me a lifetime. After signing up for Active Kickboxing Boot Camp (ABC), I became more aware of eating right and exercising regularly. These days, I am not only eating more healthily, I have also adopted a consistent exercise regime of kickboxing, running and working out at the gym on a weekly basis. The ABC has helped me shed off 7 kg in a span of 12 weeks and these extra kilos have not crept back since I took on the program a year ago. 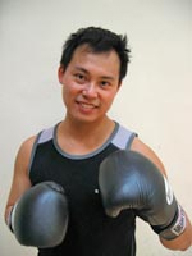 I got to know about Active Kickboxing Fitness through Bishan CC. Realising that it would be run differently from the usual kickboxing fitness programs, I signed up for it. 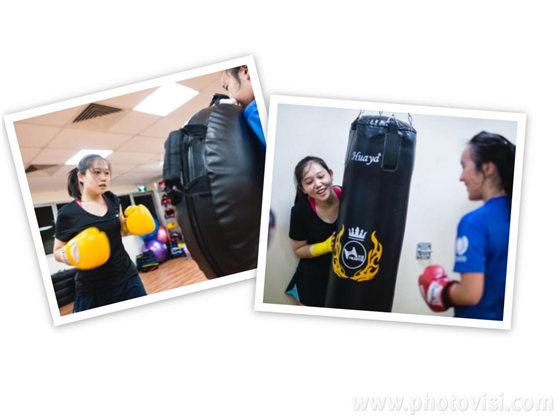 Through the sessions, I have experienced Active Kickboxing Fitness as an extremely safe fitness program, which has been specially designed to cater to meet your fitness needs. More importantly, I got to enjoy beneficial Kickboxing training without the FIGHT ELEMENT. The various kickboxing combinations that we execute are fun and interesting. I have experienced improved mental alertness as well as better motor skills. I also get to learn the actual physical application of these combinations – thus learning basic self defence. Though I had signed up for a generic class (for any age group), I was happy to hear that Active Red has further refined this fantastic program to cater to the various age groups – one for Seniors! I would definitely recommend anyone above 50 to sign up for the Senior program! It is FUN and it works!